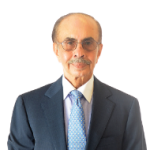 Adi Godrej was born on 3 April, 1942 in Mumbai. He is an Indian industrialist and the present Chairman of the Godrej Group, which includes many Indian companies. He is also the Chairman of 2 international companies; Keyline Brands, U.K and Rapidol, South Africa; as well as the Chairman of the Board of Trustees of the Dadabhai Naoroji Memorial Prize Fund. In 2010, Forbes estimated his net worth to be US $5.2 making him one of the richest persons in India. After completing his graduation, Adi Godrej returned to India and joined the family business – The Godrej Group. The management had high expectations from him as he was the first business graduate to join the company. The Godrej Group was started more than a century ago and since then it manufactured locks and vegetable based soaps which displaced many foreign brands. The Godrej Group continued to function with an inflexible style of management which it followed under the controlled era of British rule, even after India’s independence. Hence when Adi Godrej joined the group, he faced the challenge of modernizing the management structures and making them more flexible and systematic. His efforts towards process improvements led to the progress and growth of the Godrej Group. Adi started the group’s movement away from family hegemony that inflicted many family businesses of that time in India. This was ensured by appointing CEOs from outside the Godrej family to head the various group companies. Adi instilled new business processes at a time when companies perceived “change” to be disruptive and threatening. He created an emotional connect of both his personal and the group’s brand image with people by maintaining traditional middle class core values have remained middle class. From the beginning, Adi as a businessman was very tech-savvy took special interest in technology adoption which benefited his business. Under his leadership, the Godrej Group kept overhauling growth targets and reached great heights of success.